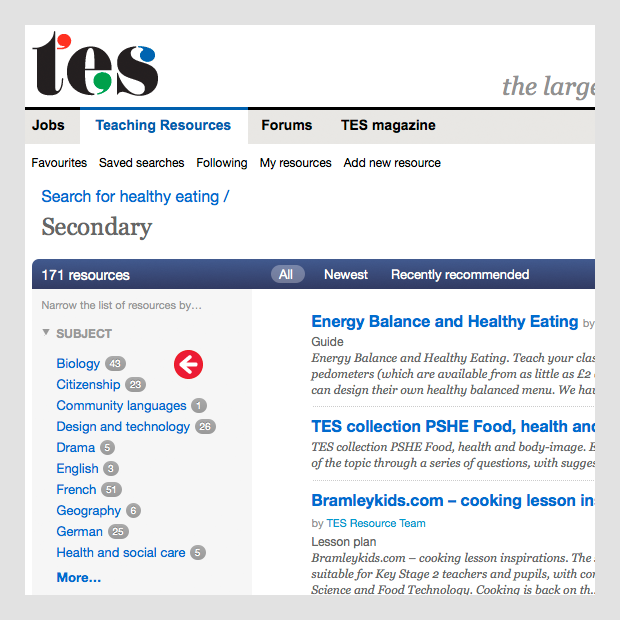 We recommend that you try browsing by subject and topic – but if you can't find what you need please use the improved keyword search. 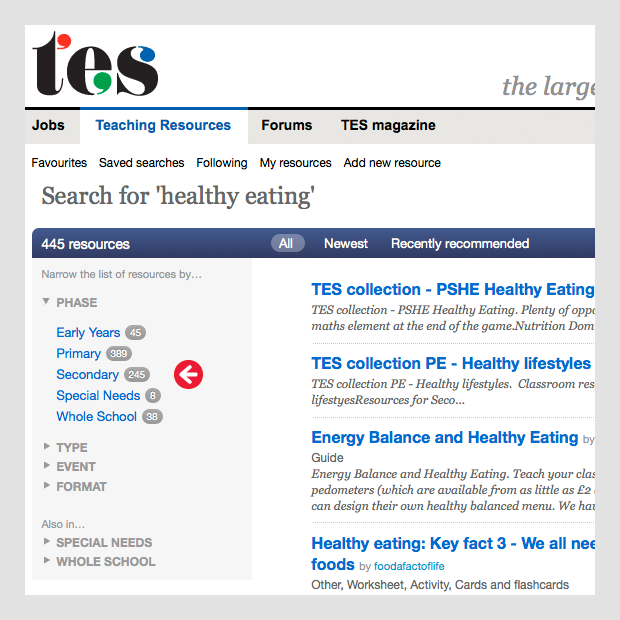 To find a resource using a keyword, please use the search functionality at the top of the page. Enter your keyword and press the 'Enter' key on your keyboard. You will get a list of all the resources that match your keyword. To narrow down your search, click on "keyword matches" and use the links on the left. 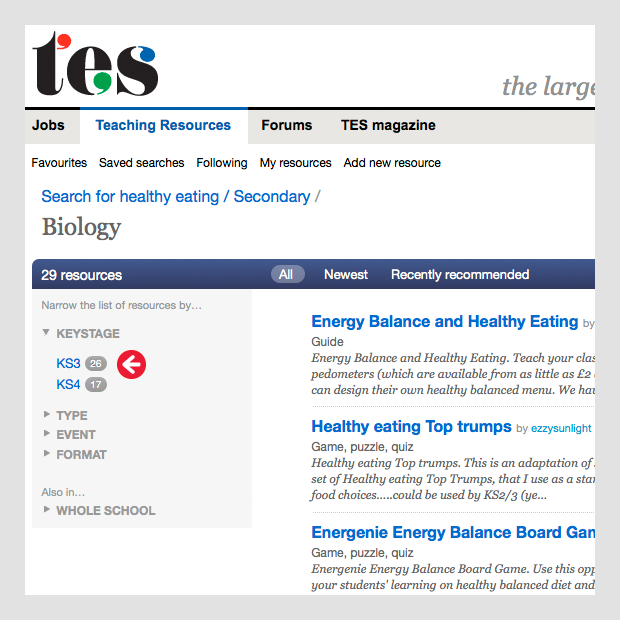 In the example below we're searching for worksheets on the subject of "healthy eating" for KS3 Biology. 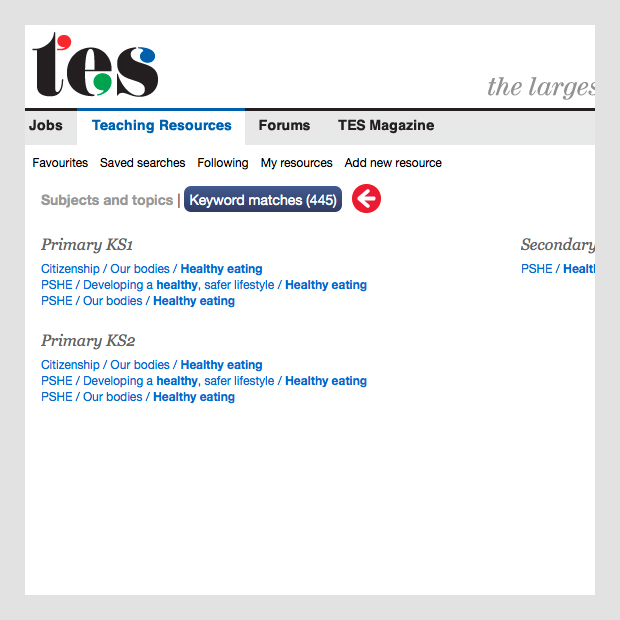 You can now use the filter on the left-hand side of the results page to narrow down your results. Choose 'Secondary' from the phase list. Then filter again using "Biology" from the choices on the left. 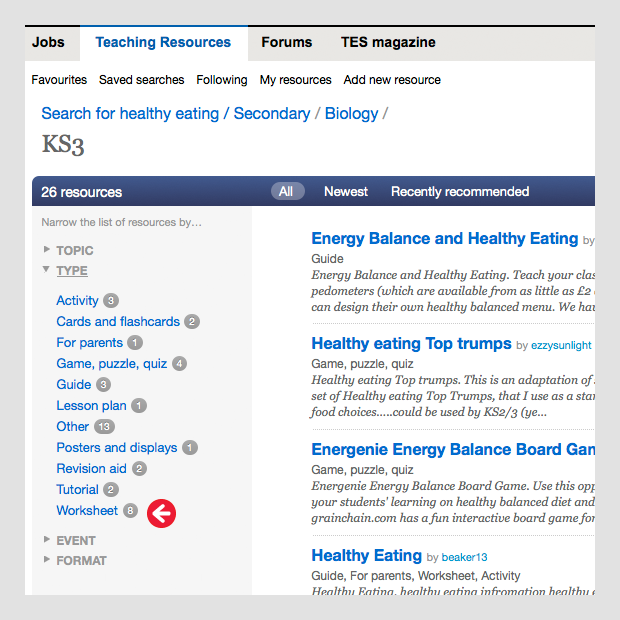 Then choose "KS3" from the choices on the left. 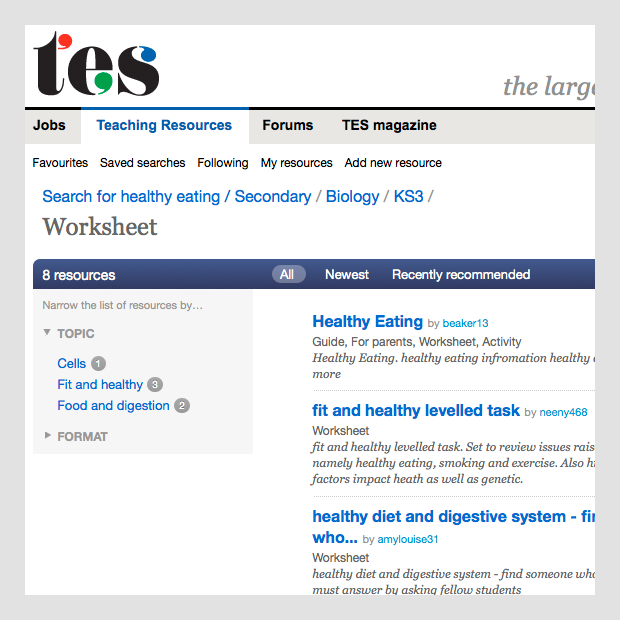 Now select 'Type' and 'Worksheet' to bring up all the healthy eating worksheets for KS3 Biology.